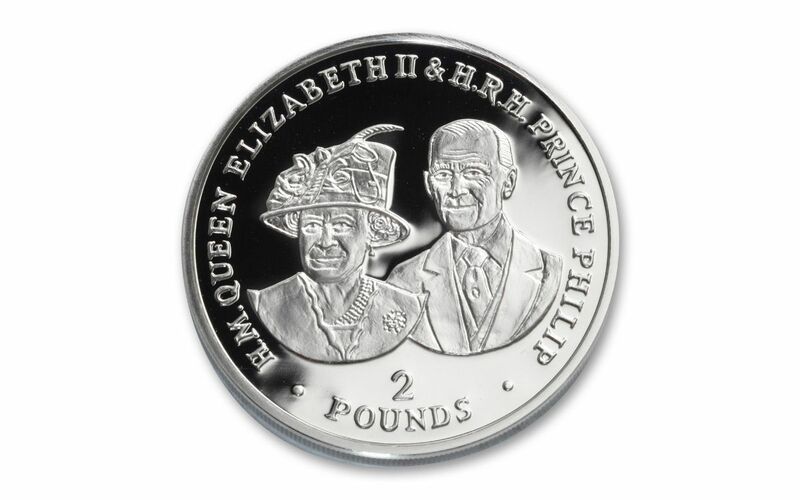 Queen Elizabeth II and Prince Philip, Together on One Silver Proof! 2017 marks the platinum wedding anniversary of the United Kingdom's reigning couple! 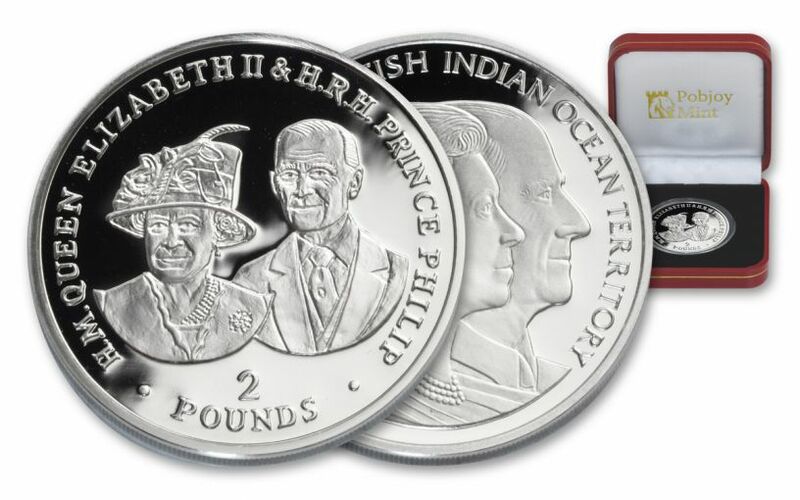 To celebrate the momentous occasion, this proof coin displays an exclusive double effigy featuring Her Majesty Queen Elizabeth II and His Royal Highness Prince Philip. Flip the proof over, and you'll discover a design recreated from an image of the pair captured on Queen Elizabeth II’s official 80th birthday. 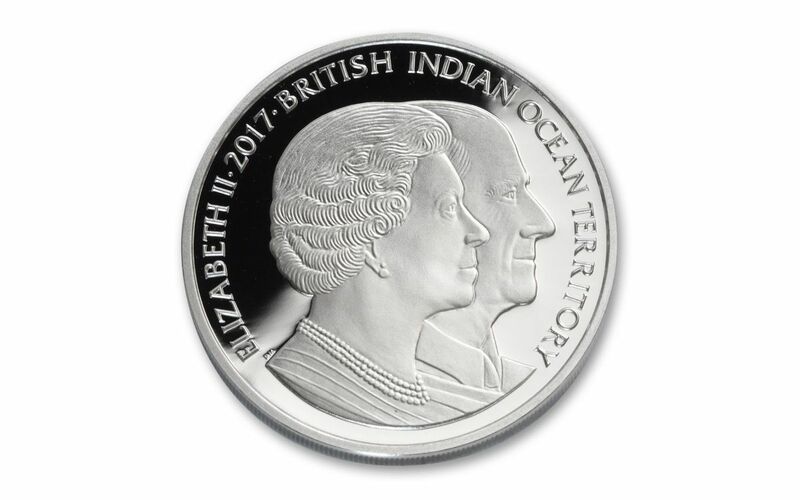 Struck by the Pobjoy Mint in 99.9% fine silver, each coin is legal tender £2 for the British Indian Ocean Territory (BIOT). 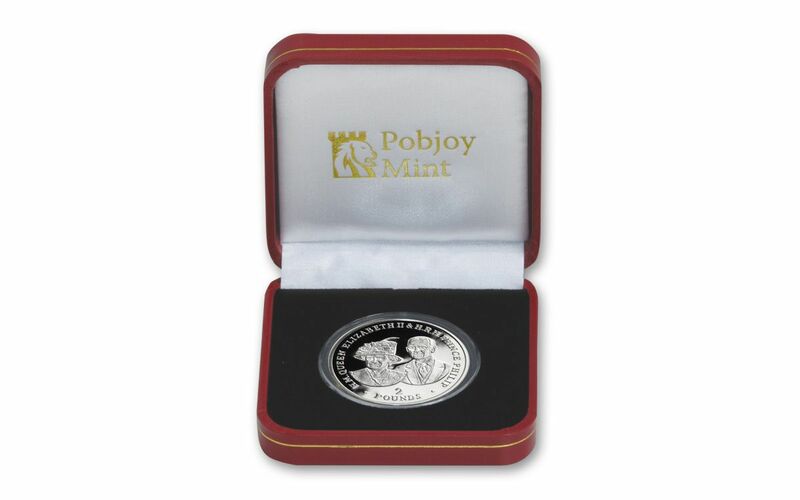 Only 2,000 of these limited-mintage proofs exist, so secure yours now!